Article 35A added to the Constitution on May 14, 1954 through a Presidential Order guarantees special privileges to permanent residents of the state. Srinagar: The Jammu and Kashmir government on Monday sought the adjournment of the hearing into the case of Article 35A of the Constitution being heard by Supreme Court between February 12 and 14. The application for adjournment of hearing was submitted by Standing Counsel for the state of Jammu and Kashmir M. Shoeb Alam before Registrar General of Supreme of India, the official sources here said. Mr Alam has submitted that the State “will be seeking adjournment in the matters on account that since there is presently no elected government in the state of Jammu and Kashmir and the State is under President’s Rule”. The application further states, “The present matter involves a sensitive issue regarding a challenge to Article 35A of the Constitution of India. A short reply has been filed by the State of Jammu and Kashmir in the lead matter (We, The Citizens) and notices have not been issued in the other petitions. It will, therefore, be requested that the matter may kindly be heard when an elected government is in place. The letter may kindly be circulated to the Hon’ble judges so as to avoid inconvenience to them, “it said. Article 35A added to the Constitution on May 14, 1954 through a Presidential Order guarantees special privileges to permanent residents of the state. The constitutional provision is, however, currently at the centre of a major controversy as a cluster of petitions seeking its removal is pending before a three-judge bench of the Supreme Court (SC). The main petition filed by an NGO, ‘We the Citizens, believed to be an RSS think-tank, challenged Article 35A in the SC in 2014 on grounds that it was not added to the Constitution through amendment under Article 368 and that it was never presented before Parliament, and came into effect immediately. 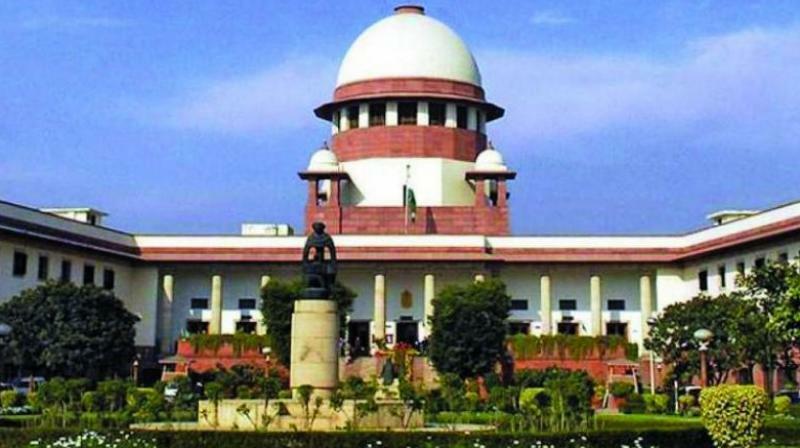 The SC had on August 31 last year deferred the hearing on petitions challenging the constitutional validity of Article 35A after its 3-member bench headed by Chief Justice Dipak Misra was informed by Attorney General K K Venugopal and Additional Solicitor General Tushar Mehta, representing the Central and the State governments respectively, that in view of the impending eight-phased local body elections and law and order situation in the State, the hearing be deferred.